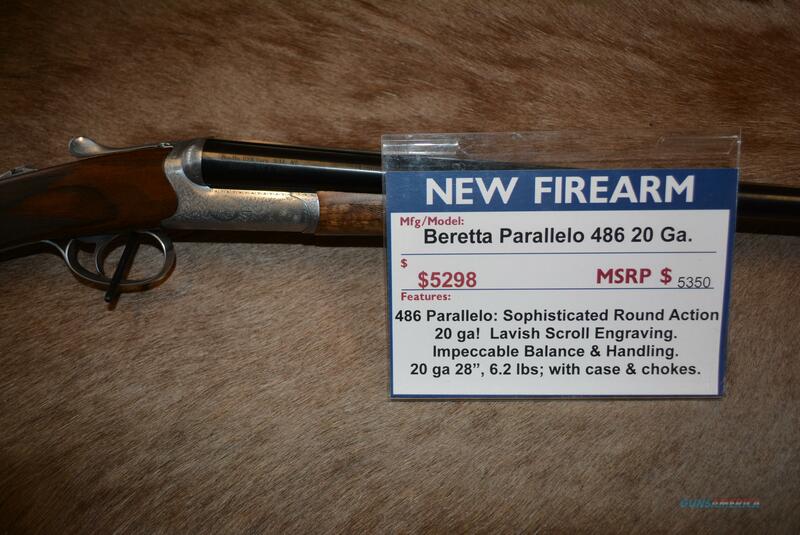 Beretta 486 Parallelo SXS 20 ga shotgun. 28", straight stock, single trigger. We have additional photos if needed.